Between Cleary's Pub and First National Bank on Grand River. 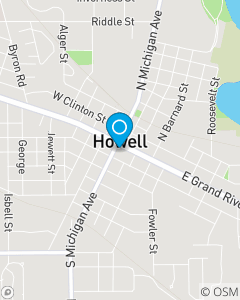 Your local State Farm Howell, MI Agent. Click, Call or Walk In for a FREE Insurance quote. Great auto and home rates. We focus on relocation to Livingston County, MI. Mission Statement: Our Mission is to help the people in our community make great risk management decisions and live confidently! We help people recover from the unexpected and realize their dreams. Come and see the difference of working with the Dan Eskola team ... licensed and trained professionals who are passionate about understanding you and your specific needs and goals. Licensed and dedicated team ready to serve you! Helping you protect against what could go wrong, so you can live for what could go right.